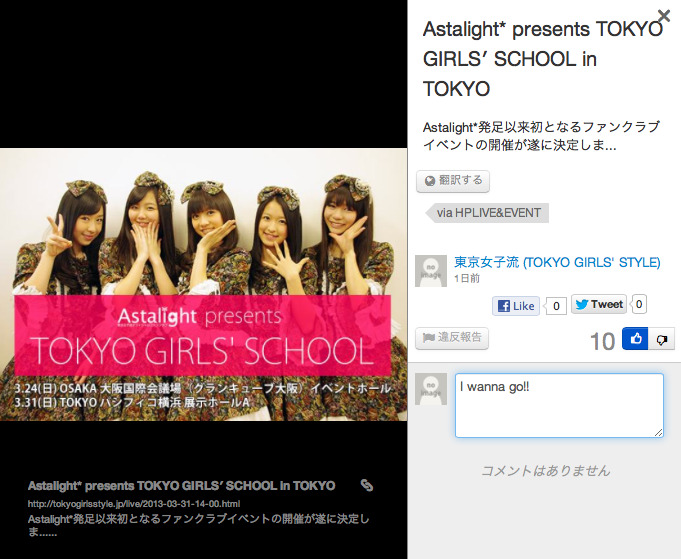 All contents, photos, text, and links are streaming with the content-box as like timeline. However if someone likes your contents and votes on them, your content-box will be up and posses better position at the stream. 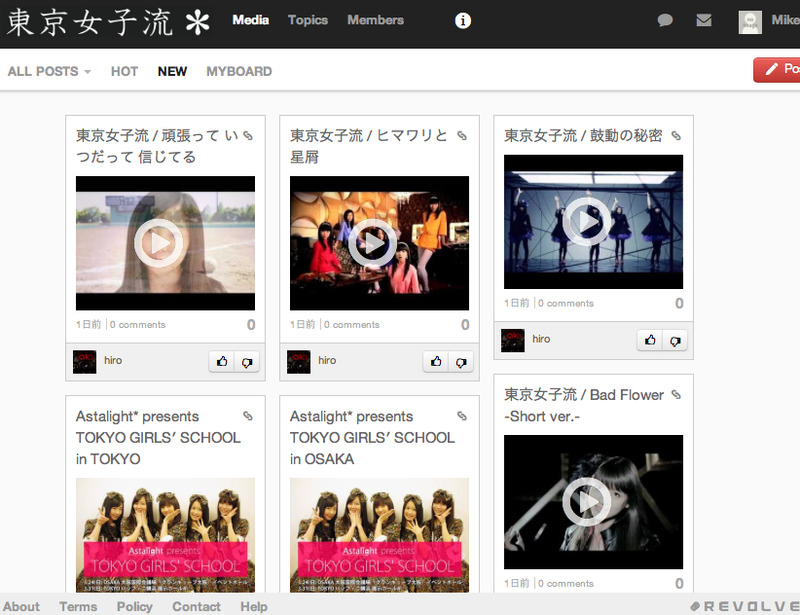 You can also check all contents on PC, Mac and smartphones. Just click any content-box to open it, you can see the bigger photo and text. 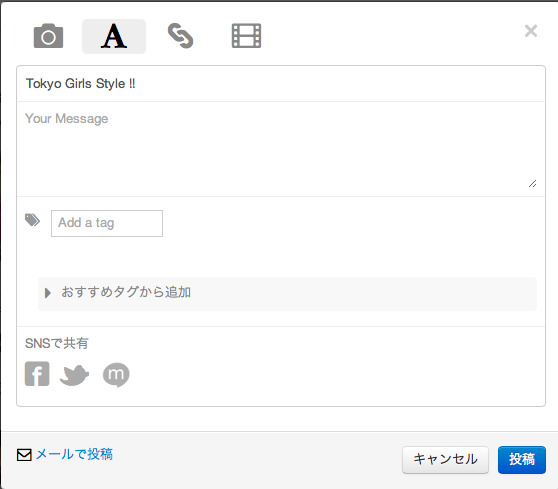 You can post a photo, link, and text on the stream and useless to say you can anytime delete the contents you posted. 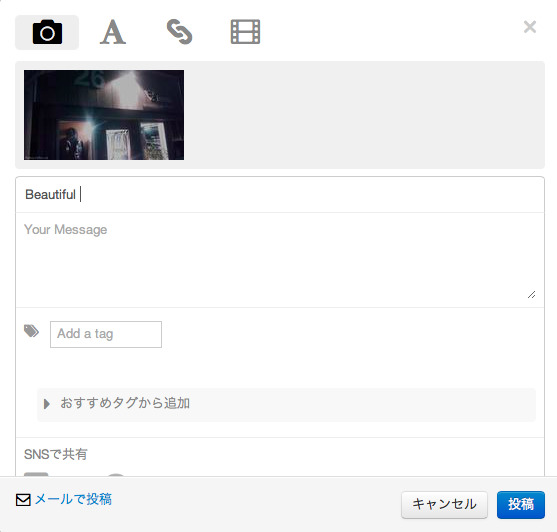 Put title in "Subject" and give some comments in the column, "Your Message". This system also accept your tags. You contents could be posted to your social network as like Facebook and Twitter. If you use mobile gadget like tablets and smartphones, please send email with photo. You may know special email address just for you via click on "post via email"
Please feel to free to post only text on the stream, go ahead. Your contents could be shown at "Topics". You can open all content-box to check its content widely. 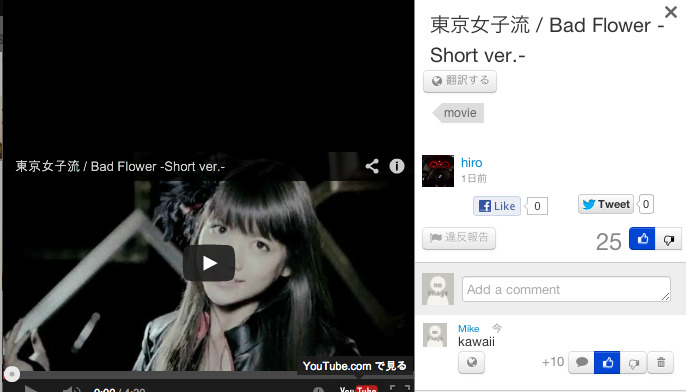 Please leave nice comments to encourage the owner of the content and share your feelings with other people. You can delete your own comments if you do not like them.